If you were to read all the wildlife and nature photography books available, you would have no time to take photographs. The books listed here have all been read and recommended by visitors to better-photographs.com. Some of them cover a broad range of topics and techniques whilst others specialize on specific areas and subject types. They have all helped their readers to improve and progress. If you have read one which is not on the list and you would recommend it, then please spare a minute to help your fellow photographers by completing the short form at the bottom of this page. This special collection is a celebration of 50 years of the world-famous Wildlife Photographer of the Year competition and of wildlife photography itself. Featuring many of the greatest nature photographs of all time, it charts the development of nature photography, from the first hand-held cameras and the colour film revolution of the 1960s, to the increasingly sophisticated photographs of wild animals and unexplored places that are taken today. An incredible variety of styles, skills and approaches are on show, reflecting the great advances in technology and the many and varied ways of viewing and interpreting the natural world. The prize-winning images include ground-breaking portraits, breathtaking aerial shots, underwater photography, close-up imagery and much more. The images are accompanied by captions that put the photographs in context, explaining their importance and revealing the vision, talent, passion and technique of the world's leading wildlife photographers. All those who are passionate about photography and who have viewed this compelling exhibition since its inception 50 years ago, will treasure this astounding volume. The Handbook of Bird Photography distills the knowledge, talent, and experience of three well-known professional wildlife photographers into one beautifully illustrated volume. Written in a manner that is easy to understand, this book offers fresh insight and practical tips that will broaden horizons for nature and bird photographers. Bird photography is a brilliant way to spend your free time, and for some it's a career. This book helps beginners get the hang of things quickly and accurately, and offers field-specific expertise for more experienced photographers. "Mario Fazekas along with his wife Jenny and their good friend Kathryn Haylett have combined their many years experience and photographic talents to create a very interesting and informative eBook 'The Photographers Guide to Etosha National Park'. Whether you consider yourself a photography novice or a seasoned professional who may be planning an African safari to the region the Photographers Guide to Etosha eBook will help you make your trip a resounding success. In the year 2000, world-renowned wildlife photographer Frans Lanting set out on a personal journey to photograph the evolution of life on earth. He made pilgrimages to true time capsules like a remote lagoon in Western Australia, spent time in research collections photographing forms of microscopic life, and even found ways to create visual parallels between the growth of organs in the human body and the patterns seen on the surface of the earth. The resulting volume is a glorious picture book of planet earth depicting the amazing biodiversity that surrounds us all. Lanting's true gift lies beyond his technical mastery: it is his eye for geometry in the beautiful chaos of nature that allows him to show us the world as it has never been seen before. From crabs to jellyfish, diatoms to vast geological formations, jungles to flowers, monkeys to human embryos, LIFE is a testament to the magical beauty of life in all its forms and is one of Lanting's most remarkable achievements. 2020VISION is an all-media enterprise about why wild nature really matters to everyone. It’s also the biggest photography-based project ever staged in Britain. It’s never been done before: over a period of 20 months, 20 of the UK’s top outdoor photographers are photographing and recording 20 different biodiversity projects telling the story of Britain’s ecosystems and the life-support services they provide. 2020VISION is a once-in-a-lifetime event, but its benefits will be felt well into the future and its message captured forever in this must-have book. This helpful and practical RSPB guide to all aspects of digital wildlife photography is an updated version of our first edition. It is accessibly written by and beautifully illustrated with the work of one of Britain's best known wildlife photographers. The book's elegant design makes the most of the author's incredible photos and informative text. The book discusses all aspects of digital wildlife photography, from equipment, fieldcraft, locations and composition, post-processing and computer manipulation of images, through to getting your photos published. This is the ultimate reference book for all aspiring and established natural history photographers, and will equip its readers with everything they need to know to help them take better digital wildlife photographs. This is the latest memorable collection of images from the prestigious annual Wildlife Photographer of the Year competition - the international showcase for the very best photography featuring natural subjects. This outstanding collection of photographs features a wide range of natural subjects and styles, from vivid scenes of animal behaviour and breathtaking landscapes to arresting portraits and abstract images of the natural world. Each stunning photograph is accompanied by an extended caption that explains where and how it was taken. Featuring the best in wildlife photography from across the world, this new collection celebrates the beauty, drama and diversity of nature and will inspire all photographers, regardless of experience. This is a practical, accessible guide to photographing nature and wildlife from one of the UK's top nature photographers. Suitable for all levels of photographer, "100 Ways to Take Better Nature & Wildlife Photographs" features 100 practical and inspiring tips on every aspect of the genre. Guy Edwardes' beathtaking pictures accompany his easy-to-follow advice on a wide range of subjects from capturing the actions of large mammals to snapping wild birds and flowers in the garden. With tips on everything from technique to composition, coping with extreme field conditions to Photoshop software manipulation, this is an invaluable guide for anyone with a passion for photography or the natural world. Based in the heart of Scotland's Cairngorms National Park, Peter Cairns is a freelance nature photographer with a deep fascination for our relationship with the natural world. For more than ten years, photographer Steve Bloom travelled all over the world, roaming through the jungles of Borneo, the African savannahs, and the frozen banks of Antarctica to assemble this dazzling collection of photographs of animals in their environments. With an international range that is rare in books of animal photography, the 200 photographs in Untamed bring to life a vast panorama of animal diversity, and of the landscapes, climates, and habitats in which they live. Here we see the serene gaze of a gorilla relaxing in the rainforest, a shark jumping in midair to catch its prey, a Siberian tiger traipsing through the snow, and penguins congregating on an ice floe. Bloom’s anthropomorphic approach reveals rage, tenderness, and even humor in his subjects, capturing those fleeting moments when the gap between animal and human seems to disappear altogether. These amazing images, augmented by a personal account of Bloom’s unforgettable career as a wildlife photographer, make Untamed an essential volume for all animal and photography lovers. Mara-Serengeti captures the essence of living in the Mara-Serengeti region in a way that you would not experience in a dozen safaris to Africa. The images of predators, prey, wildlife migrations, and the Masai bring you close up during moments of blazing color in the sky and dramatic action in the grasslands. The images are improved by thoughtful essays that draw on the photographers' many years of experience with these subjects. A visual representation of one of Africa's great wildernesses and most-visited national parks. Nigel Dennis's photographs of Kruger and its many inhabitants are prefaced by a textual introduction to the conservation and natural history of the park. Michael Brett describes the diverse habitats of the Southern, Central, Northern and Far Northern regions of the park, and offers insight into the diversity of wildlife characteristic of each of them. For those familiar with the name of Andy Rouse, this book will come as no surprise. Andy is simply one of the very best wildlife photographers the world has seen, this book details the highs and lows of a year in his life. Of course it is filled with outstanding pictures that no-one else seems able to take (or are not willing to go to the dangerous lengths to take! ), but what really makes this photographic book is the words. If you have seen Andy's TV programme you will be familiar with his very open enthusiasm and drive, this is clearly a man who is living his dream. The book is nicely split between the images, the anecdotal stories and the technical know how. If you are a wildlife fan then you can simply ignore the technical boxes and still have a book that is worth every penny. This book contains a varied collection of more than 450 bird and nature photographs that reflect the personal visions of the three authors and eight other wildlife photographers. The theme of the book is set by the elements of the planet (earth, fire, air, and water) and includes an assortment of nature photographs, from exciting action and moody contemplation, are connected to these elements. Throughout the book, each two-page layout tells a story that relates to the subjects or habitats shown on the pages, or creates a mood using color themes that connect with one of the earth's elements. Relevant quotes about nature are interspersed throughout the book, and personalized captions share interesting information about each photograph. Containing 130 of the author's photographs, and covering topics such as cloud formations, Arctic conditions, the subtle use of flash, night photography and courtship rituals, this is a guide to photographing the natural world. The author, whose work has been widely exhibited and has appeared in books, magazines, calendars, advertisements and over 3000 books, analyzes her own approach to the subject and the fascination it holds for her. She shows how to home in on what makes each environment special, and provides information on using light, colour and movement. There are chapters on the changing seasons, anticipating behaviour, and working with the elements. This definitive, up-to-the-minute book on the popular field of nature photography instructs the reader in the techniques needed to consistently create stunning images based on the very latest camera and computer innovations. Insect photography is a challenging and stimulating art. Well-shot images give stunning results, which can aid study and enhance enjoyment of the natural world. This practical book explains how to reliably take those photographs. Through introducing insects and their behaviour, it advises on when and how to see nature at work and, by instructing on techniques, it shows how to capture the moment to dramatic effect. An excellent guide to macro photography. Advice on chosing hardware, including working with flash; detailed sections on photographing flowers, insects and fungi; photographing the seasons. Good sound advice from a lifelong naturalist who is a superb photographer and an excellent communicator. Inspirational images. How did this Book help you? 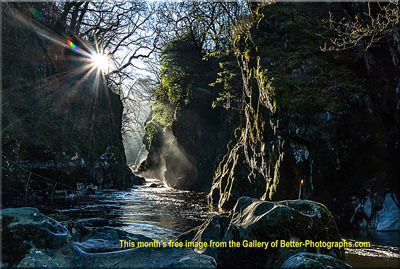 If you have yet to subscribe to my Better Photographs Blog or set up your RSS feed then click here to add this page to your favourites and return to it to find out about more books as they are added.